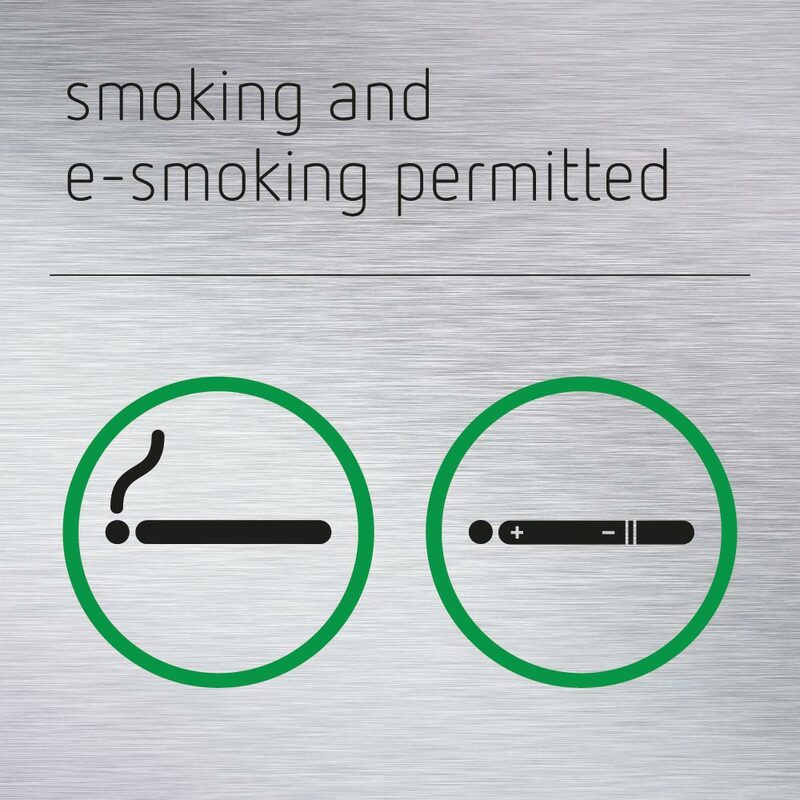 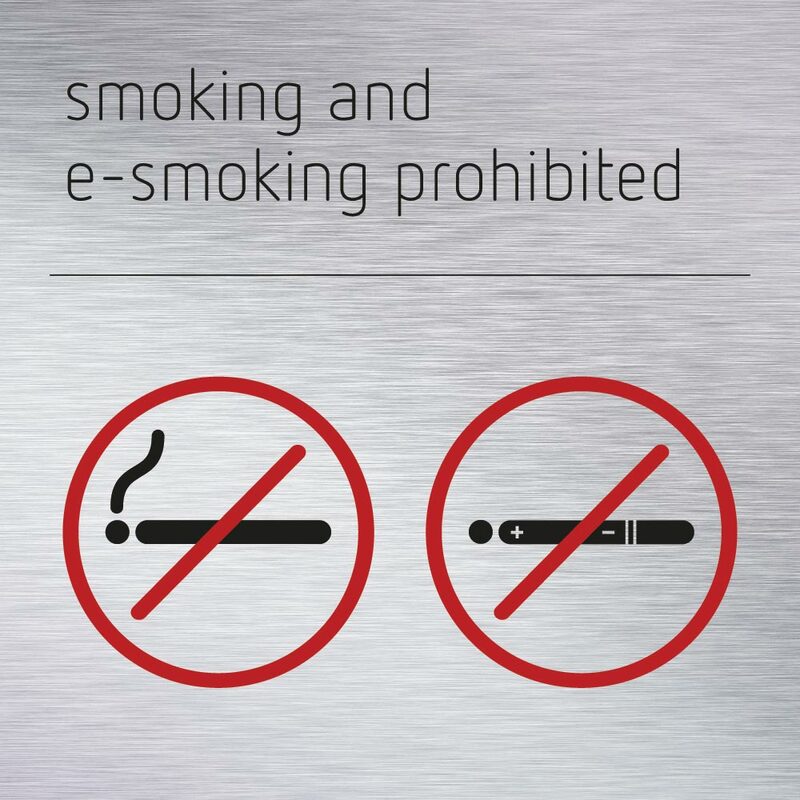 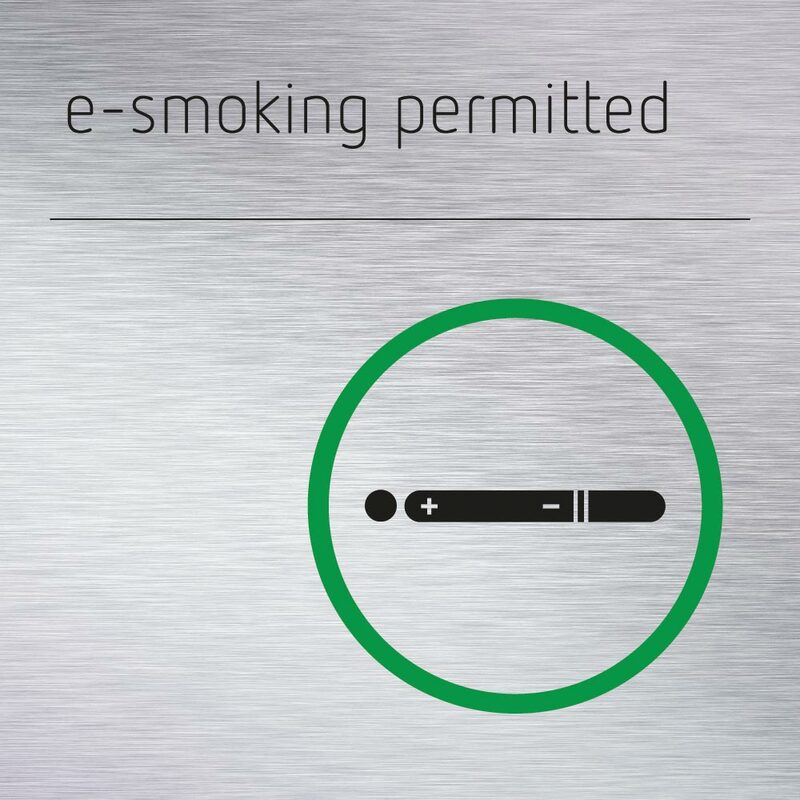 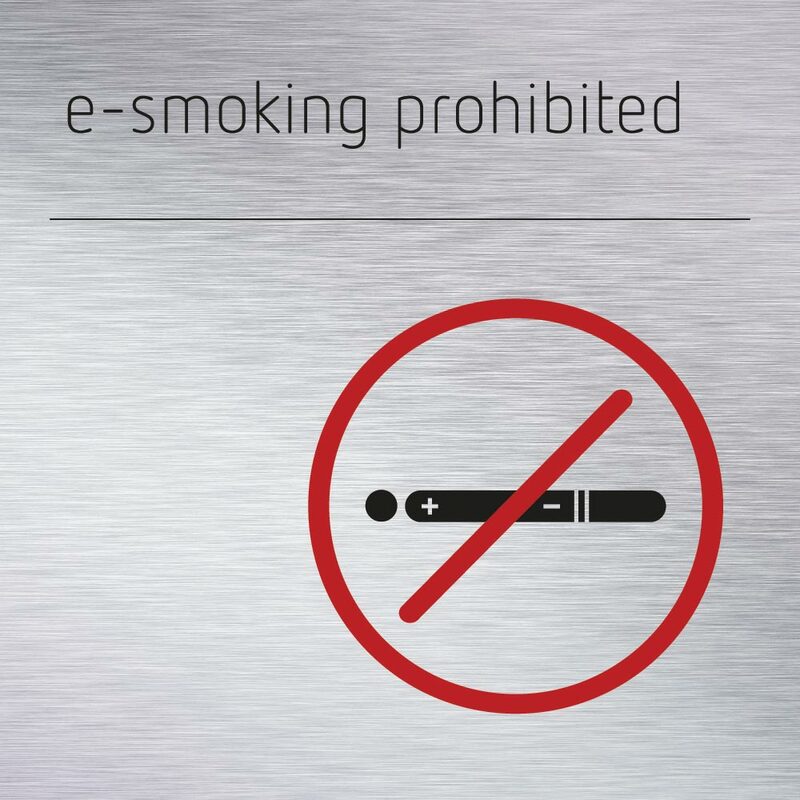 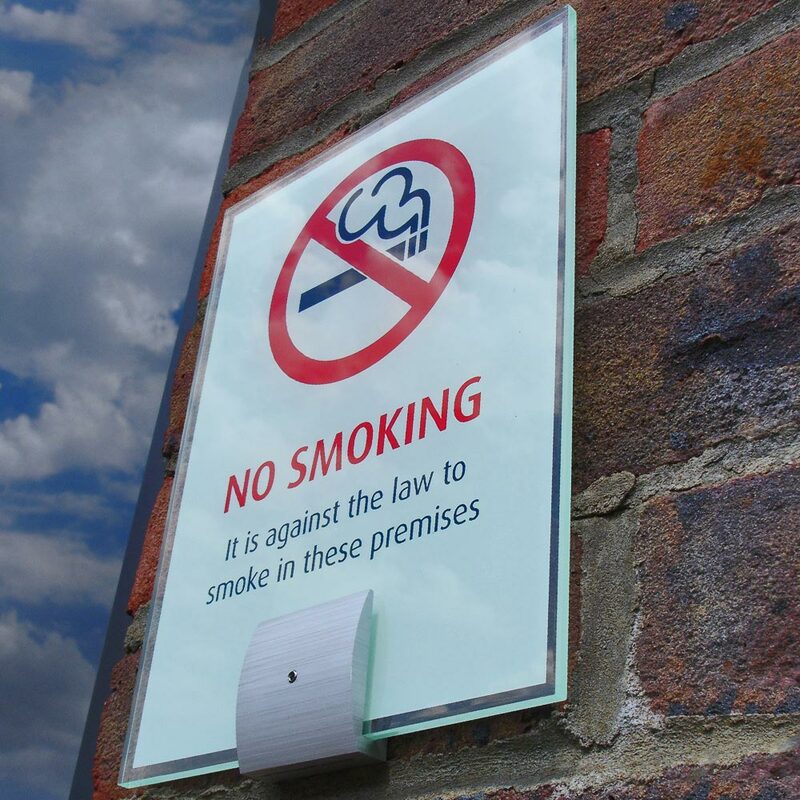 With the introduction of electronic cigarettes and to avoid any ambiguity regarding permitted areas for smoking or e-smoking, our design team has revamped our exclusive range of smoking prohibition signs. 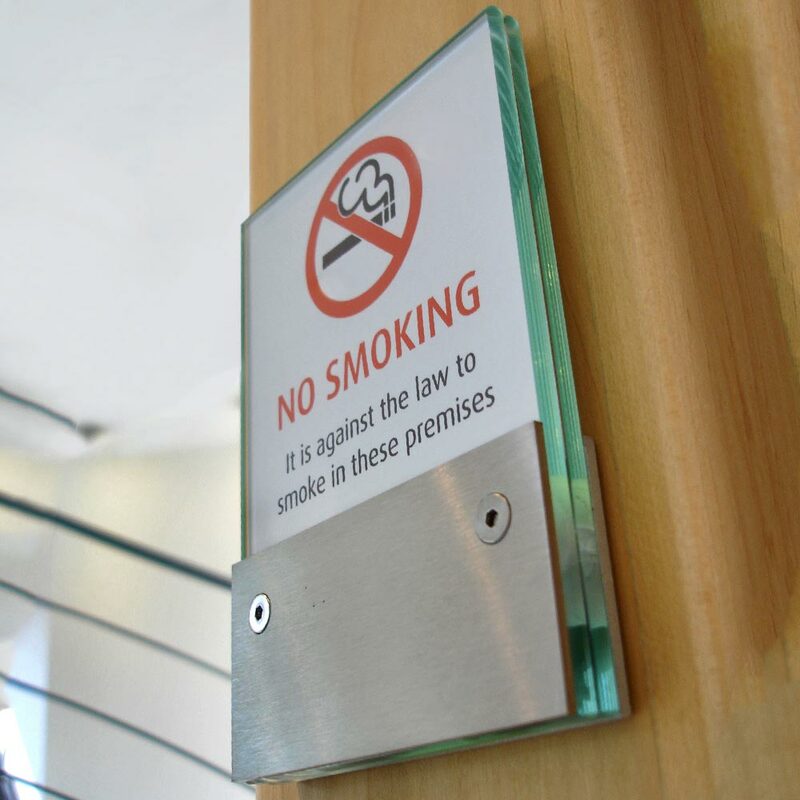 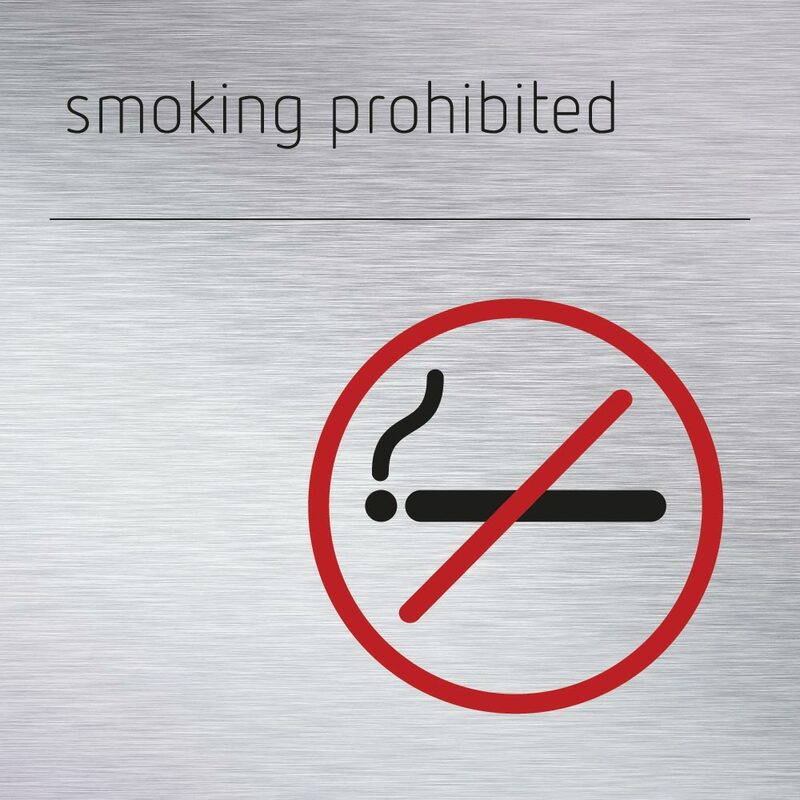 The No Smoking range is available in Stainless steel look self-adhesive vinyl. 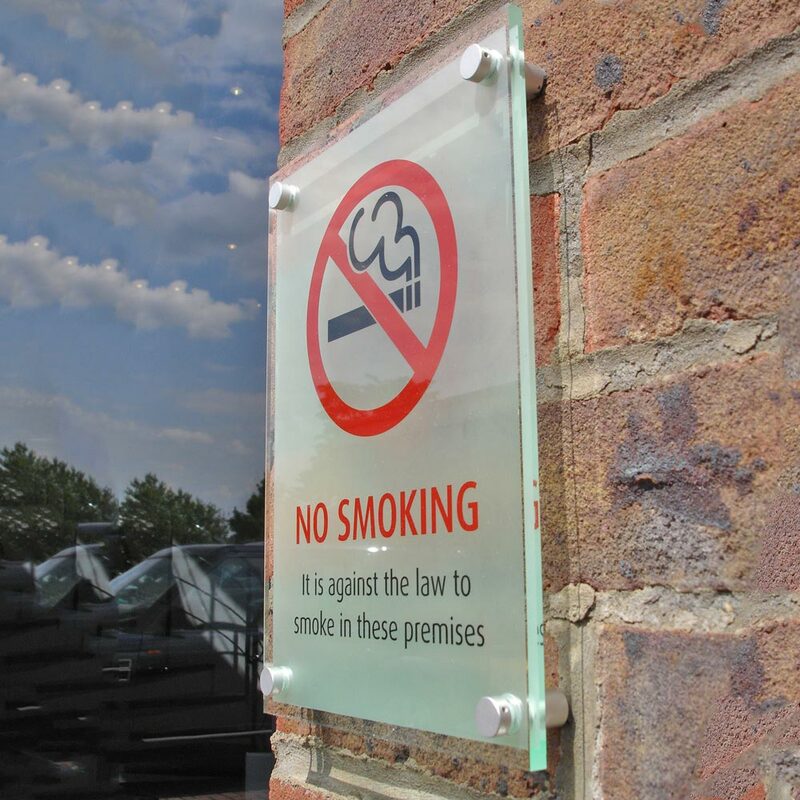 Sized at 150mm x 150mm. 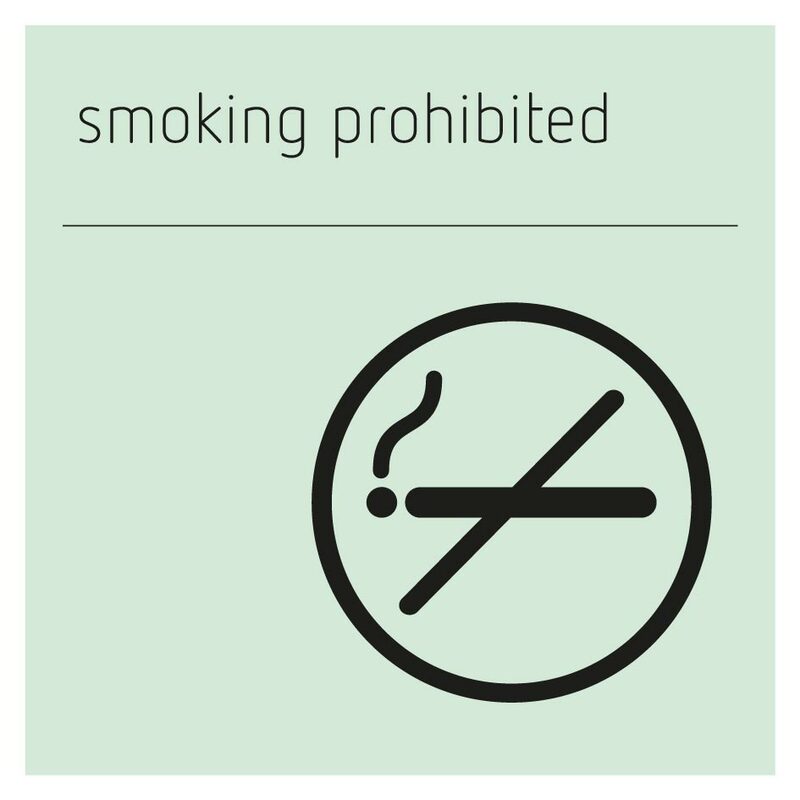 Graphics are digitally screen-printed to the surface, using the on-trend, no-frills FF Netto typeface by Daniel Utz. 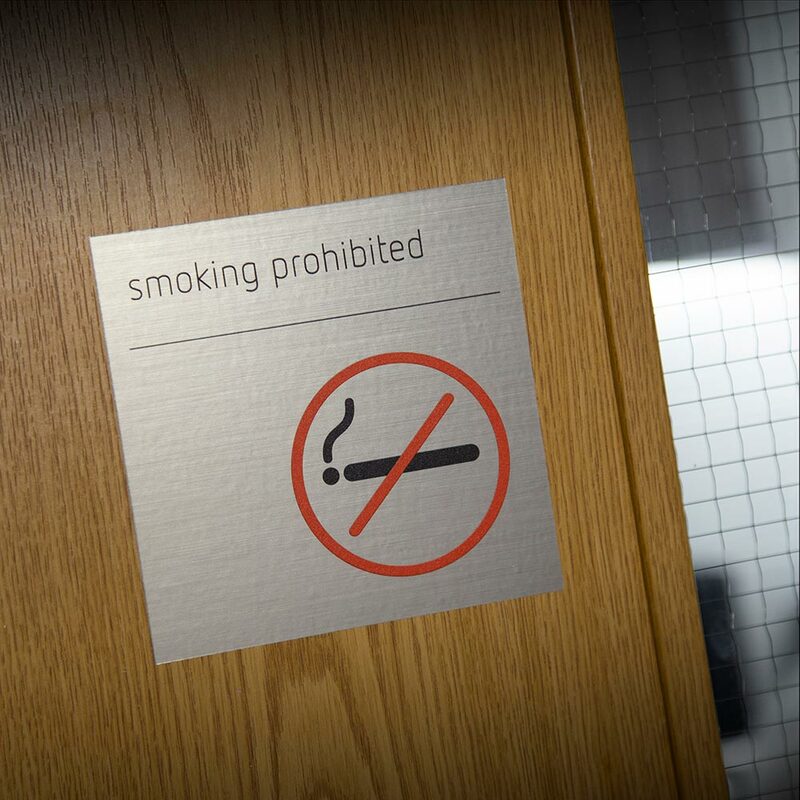 From hospitality to workplace, education to healthcare, the No Smoking range will suit both traditional or contemporary interiors. 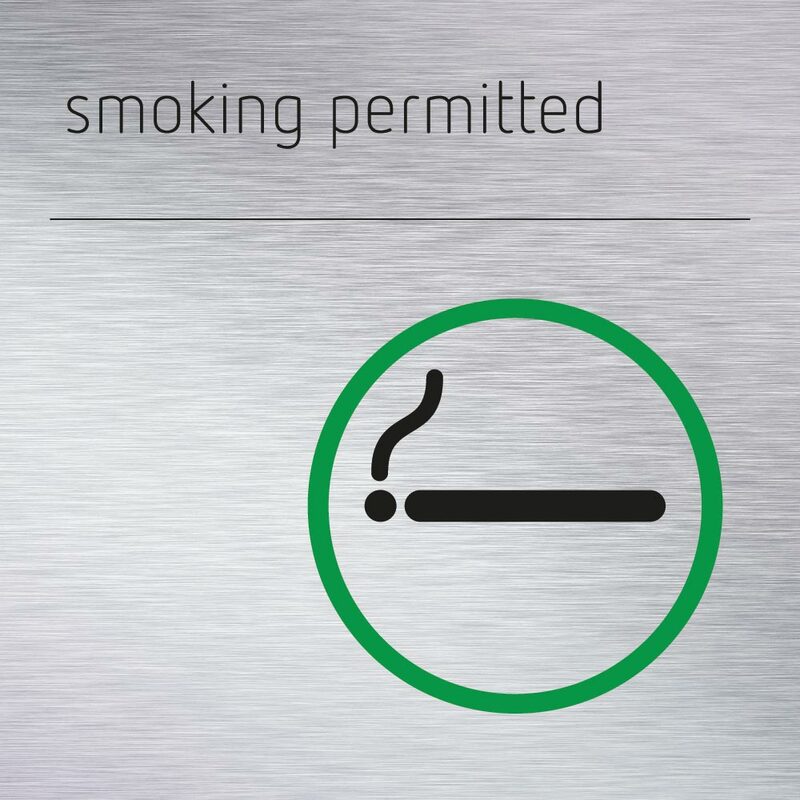 Its stainless steel look surface meets the desire for simple grained metal looking materials that perform to high standards in demanding environments.